Mega Sale! Free Shipping Included! 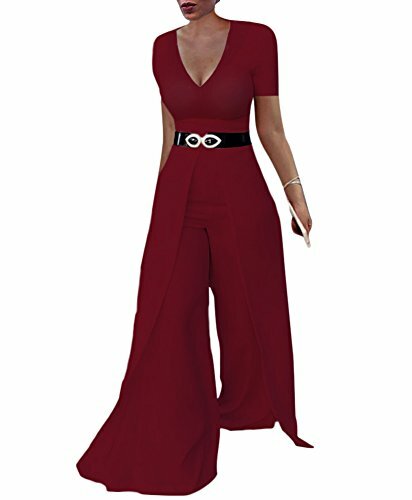 Save 26% on the Dreamparis Womens Wide Leg Jumpsuits Romper Long Sleeve High Waisted Flare Palazzo Pants Suit Wine XL by Dreamparis at Mas Fashion. Hurry! Limited time offer. Offer valid only while supplies last. Cute Candy Color Short Sleeve High Waisted Wide Leg Jumpsuits for Women The belt is not included. This slim fit jumpsuit is made by stretch fabric.